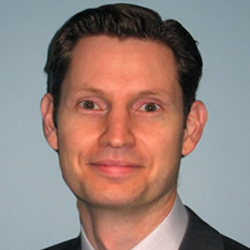 Simon Blackburn is a Director in McKinsey & Company’s Sydney office, and has been with McKinsey for 17 years. He has a particular passion for organisational change and development including the theme of leader-driven change, and he leads the Transformational Change service line for McKinsey’s Organisation practice in Asia, serving clients in both the private and public sectors. He has a strong personal interest in transformation, with a focus on changing behaviours to drive lasting performance improvement. Simon originally trained as an engineer and spent 11 years in McKinsey’s Boston office prior to returning to Australia in 2008. His experience spans organisation, strategy, operations, information technology, and marketing & sales. In addition to the National Board of The Hunger Project, Simon serves on the board of the Woolcock Institute of Medical Research and previously on the board of Parents as Teachers National Centre, and the Massachusetts STEM Collaborative.